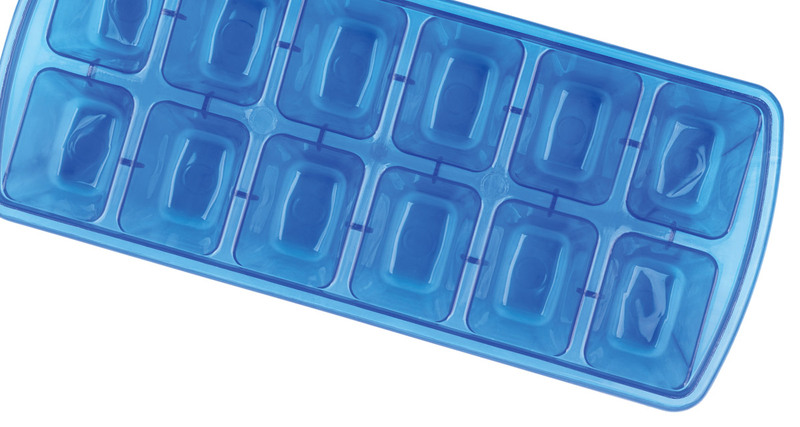 The humble ice cube tray may be one of the most underutilized tools in your kitchen. There are dozens of ideas to use ice cube trays—whether for culinary purposes or other areas of the home. Consider a few of these ideas. Freeze leftover coffee (if there is such a thing) to enjoy iced coffee this summer. Freeze fruit and vegetable puree to add to smoothies, making the process much easier on busy mornings. Freeze fruit in regular ice cubes for a little extra flavor in your water. Make and freeze homemade baby food in perfect portions for little tummies! For toddlers who have food-touching-food issues, serve a meal or snack out of a large ice cube tray. Freeze fresh herbs in olive oil or broth for future use. Press avocado into ice cube trays—perfect for avocado lovers who can’t eat them fast enough! Make frozen yogurt bites with fruit, nuts, and, of course—yogurt. Perfectly portioned cookie dough makes homemade cookies an option any time! Mini-no-bake cheesecakes are a great portion for end-of-meal sweet tooth cravings. Bite-size Jello treats the kids will love. Freeze some peanut butter mixed with a little water for a yummy frozen dog treat. Freeze some sweet potato or pumpkin for a healthy, perfectly portioned snack any time. BONUS: Slow down a fast eater by feeding your dog out of an ice cube tray. Freeze slices of lemons and white vinegar to have on hand when the garbage disposal needs cleaning. Make your own dishwashing tablets. Organize jewelry in ice cube trays. Use an ice cube tray to tame a junk drawer. Use ice cube trays for seed starters. Make wildflower seed bombs with seeds, one part water, two parts potting soil, and five parts pottery clay. Frozen aloe vera cubes will offer great relief after too much time in the sun. Who needs a paint palette if you have a spare ice cube tray? Use trays to separate beads by size and color. Melt old broken crayons in the microwave and pour into ice cube trays for brand new crayons. Mix the ingredients together and press into ice cube trays. Let them dry completely—at least 24 hours—before using. Pour baking soda into a bowl. Spray the baking soda with water, just enough to make it start to stick together. Mix it up and see how well it forms in your hand. It should feel like damp sand. If it is not moist enough, spray with water again until it easily sticks together, but does not feel wet, only damp and moist. Add in your essential oil and mix again. Press the mixture into ice cube trays. Let them dry overnight and pop them out. Store in an airtight container, away from moisture.